Matt Barrie is coming to Campus! Founder & CEO of Freelancer (ASX:FLN) is coming to campus on April 10th! 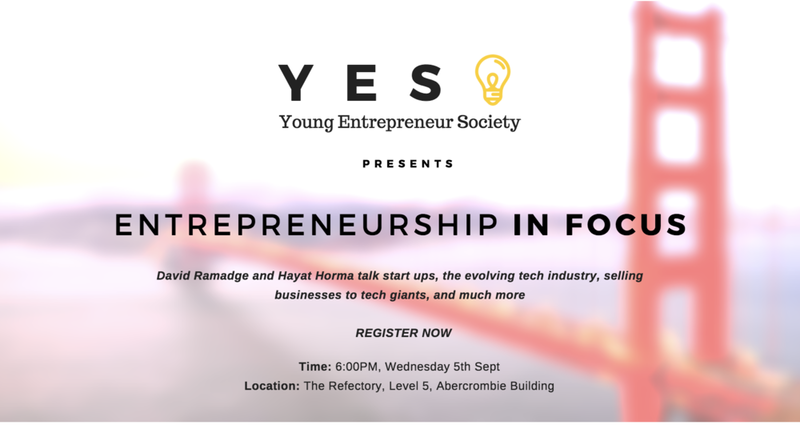 YES held it's most recent Entrepreneurship in Focus event on Wednesday 5th September in the Business Building. David Ramadge & Hayat Horma provided insights on developing MVPs, building connections, & ensuring the ‘health’ of your start up. Like our Facebook page and join the society to stay tuned for upcoming events & activities!